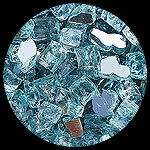 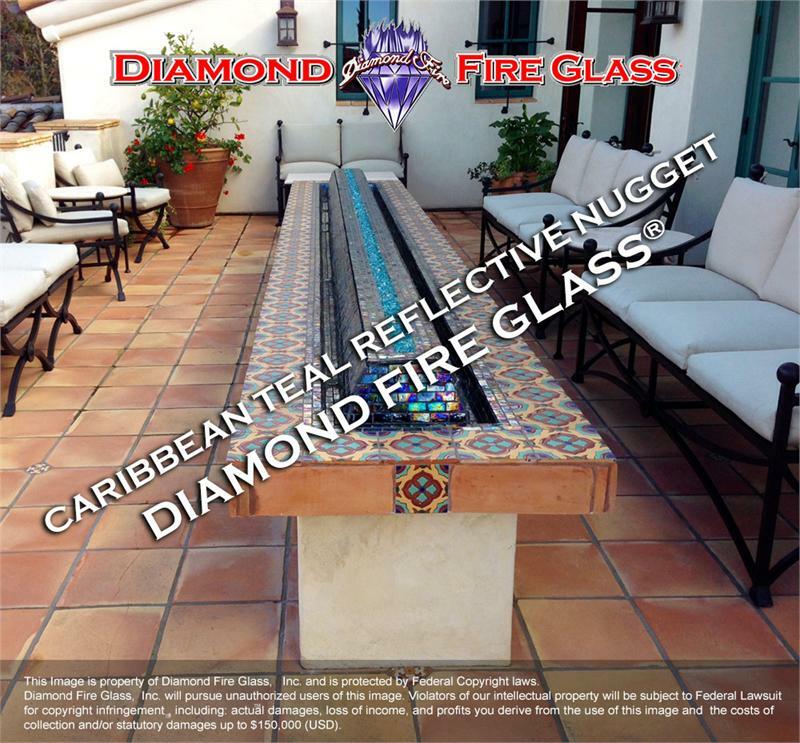 Caribbean Teal Reflective Nugget is a great outdoor fire pit glass color. 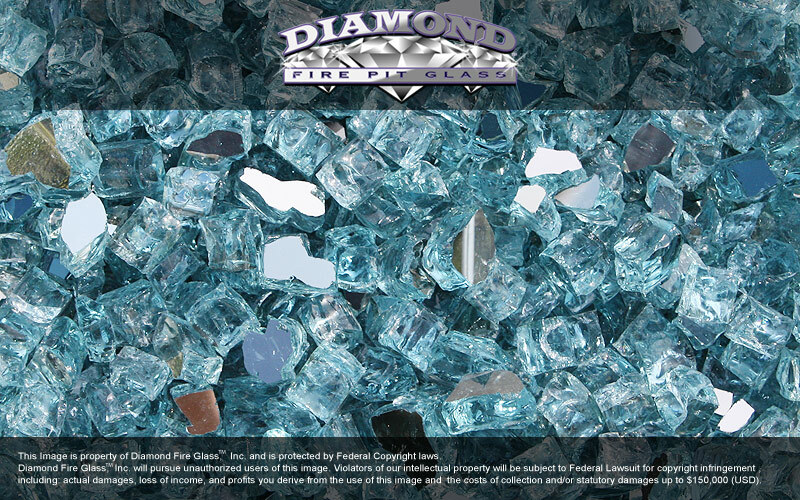 It's color resembles tropical Teal Green or Pool Water Blue with a Reflective Side. 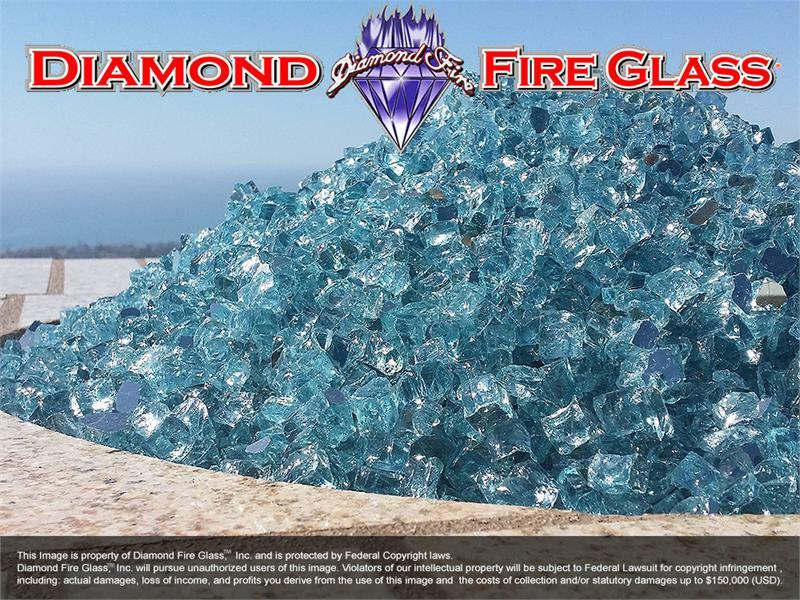 This is an exclusive fire pit glass color that we have created recently - Not yet available elsewhere! 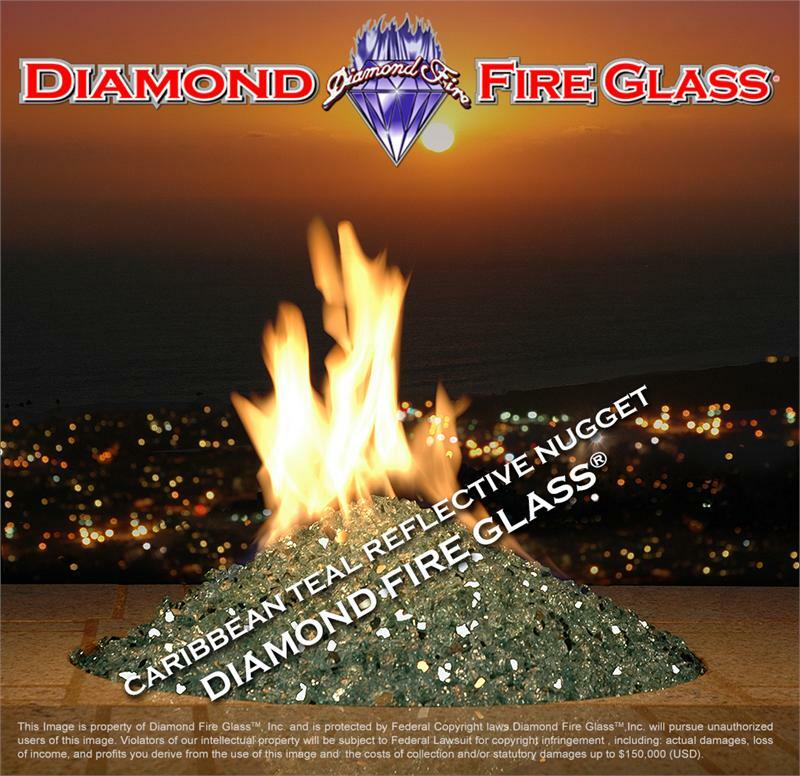 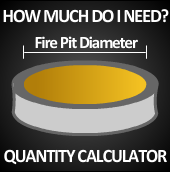 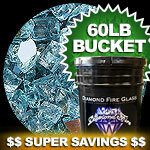 Our Reflective Fire Pit Glass Nuggets are approximately 1/2" in size. 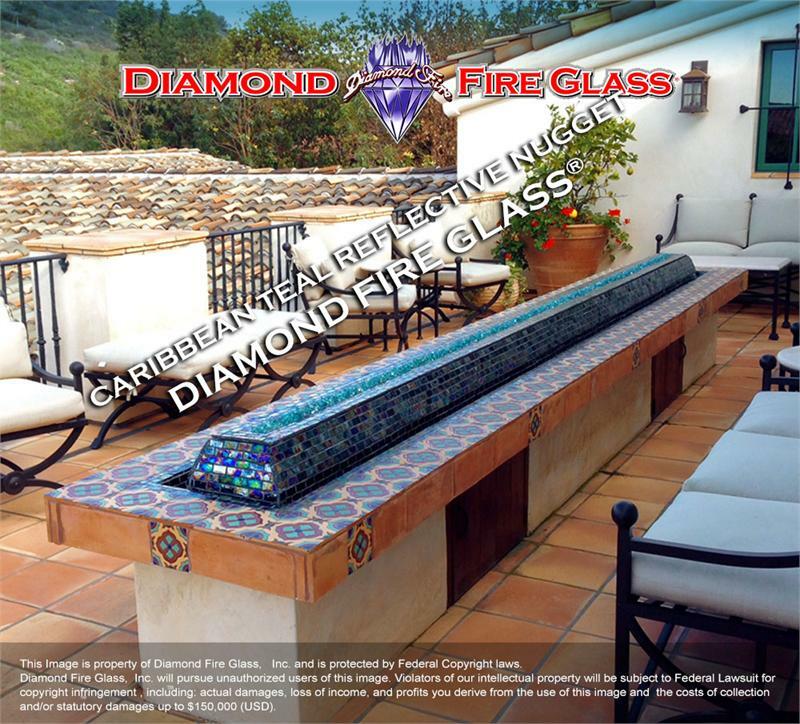 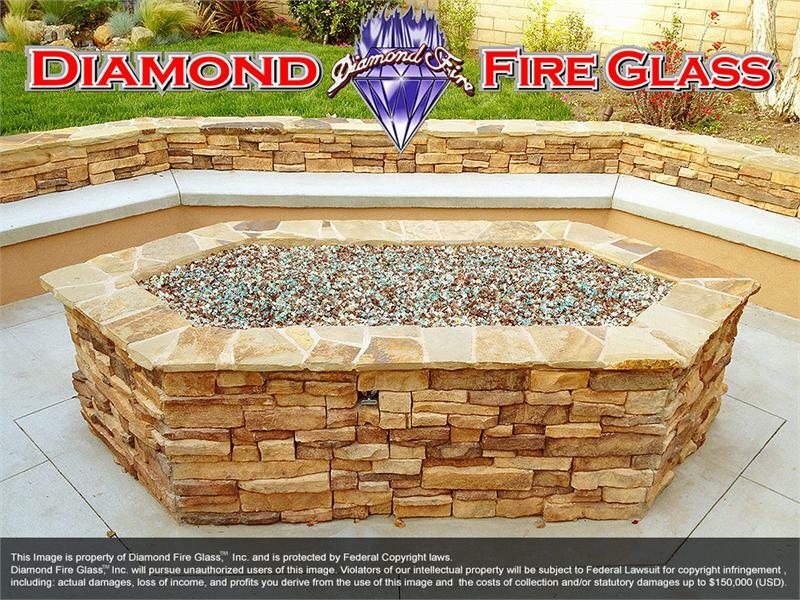 The reflective side of the Fire Pit Glass is mirrored - creating an amazing sparkle!